Disclaimer : We are playing with the high voltages here, and these details are for knowledge only. I am not at all responsible for the actions you take after you have read this article. Its been many days since I have put my hands into high voltages. 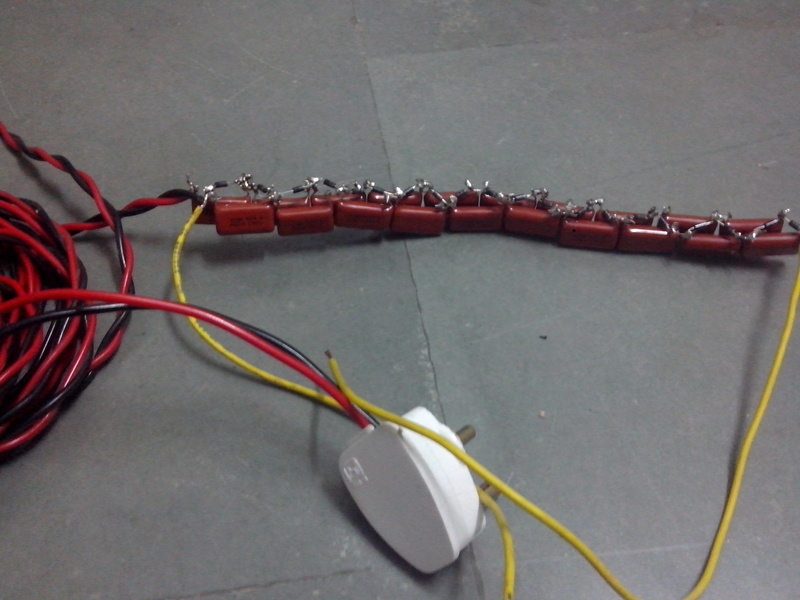 So i Had this plan to generate around 10KV DC voltage by simplest means. Lets See how this voltage multiplier works. Now we have got our doubled Output but hey its still not that huge to be called high voltage. 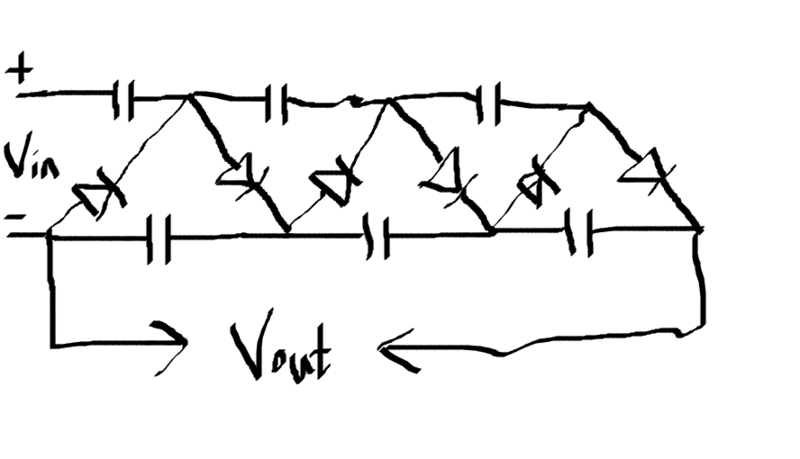 We need Kilo Volts… what to do? Just put another One in front of it and boom another boost. thus you can generate Tremendous amounts of energy by adding the more stages to it. Given diagram shows 3 stages you can add many. Here is the formula to calculate the output. Diodes :- 1n4007 regular rectifier diode is just fine. It has VPP in kilo volts. 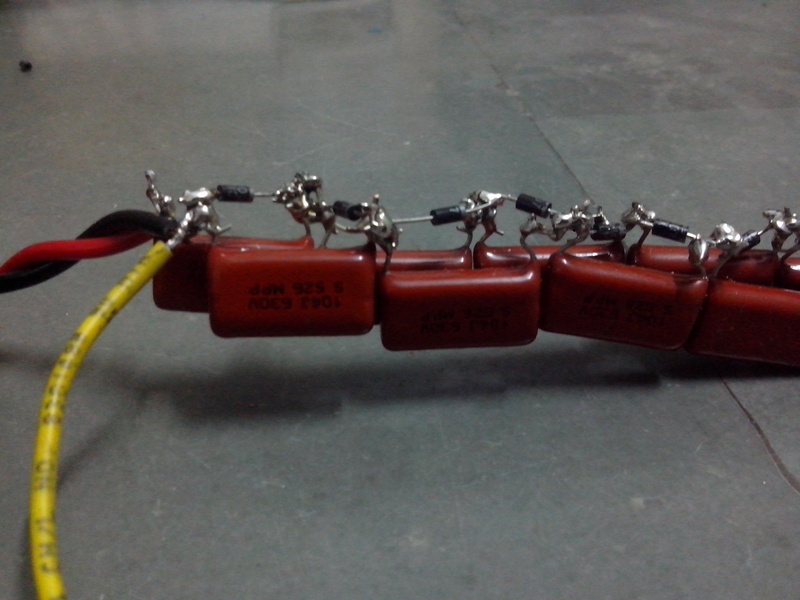 I have made 10 stages in my circuit which gives me around 6-7 KVs of volts. I will be showing some good applications for this supply in next article. Here are the pics Of the grid i made for reference. Its an old pic and had 10 stages only. 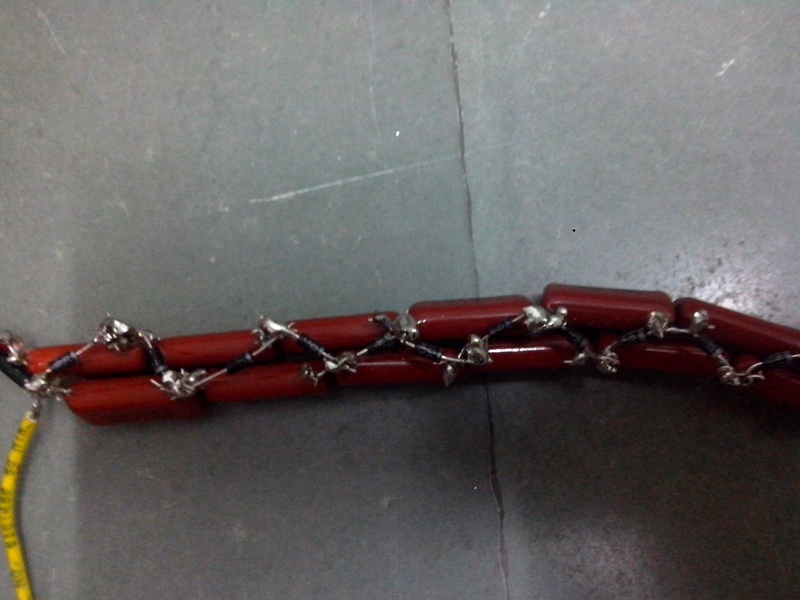 New one as 15. Can you tell me what is the problem or which component is creating problem ? Can you tell me what is happening on the output side of the device. When you say the voltage isn’t adding up after third stage, what is the reading that you are getting after 3rd stage? This entry was posted on December 6, 2013 by S4t4n in DIY stuff., High Voltage and tagged Arcs, HIgh Voltage Power supply, Voltage doubler, Voltage Multiplier.